Professor Layton and the Curious Village, originally released on the Nintendo DS in 2007, is getting an HD remaster for smartphones in Japan. 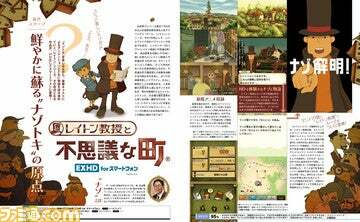 Tilted Professor Layton and the Curious Village EXHD for Smartphone, the app’s release date is TBA. No word yet if it will be out internationally.